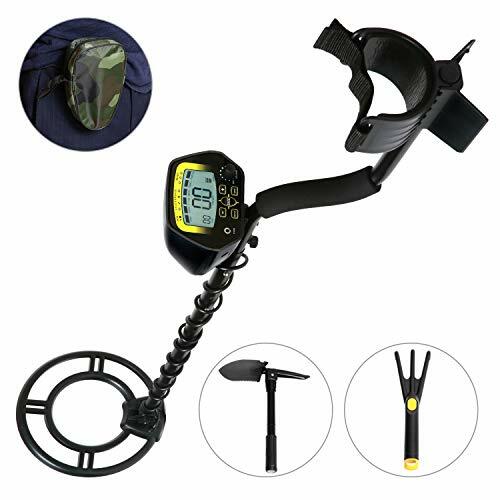 Whether you are a history lover, coin collector, or an outdoor enthusiast for some extra bonus, the MARNUR Metal Detector with High Accuracy and Large LCD display would be so helpful in transforming you into a treasure hunter to create a closer tie between you and the treasure buried underground, bringing maximum treasure-searching enjoyment. Do not hide your excitement when you hear the beep, for more excitement would come when you begin to dig up what might be relics of hundreds of years old. 1.Please use the metal detector waterproof properly. If it drops by accident, the circuit board and the shell might be damaged, which might cause malfunction. 2.Please use the underground metal detector at room temperature. Using at overly high or overly low temperature might shorten the lifespan and influence the effect of the product. 3.Keep the metal detector finder away from dust and dirt, otherwise the product parts might be damaged. 4.Please wipe the surface of the metal detector tracker with mildly cloth and sponge for cleaning. 5.Please avoid cleaning with any detergent or abrasive on the surface of the metal detector. 6.Please store the professional metal detector in a dry and cool place. 7.If the metal detector t is not to be used for long, please remove batteries. If you have any questions about this product by MARNUR, contact us by completing and submitting the form below. If you are looking for a specif part number, please include it with your message.